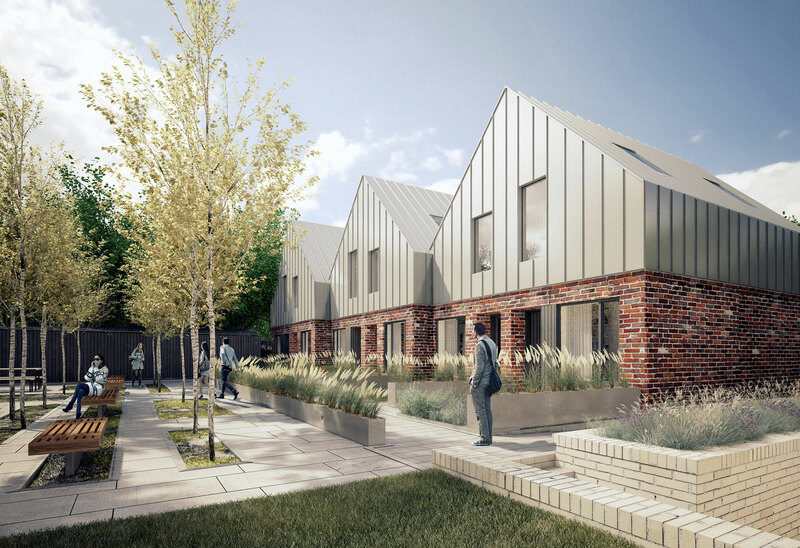 The project consists of 40 separate units occupying a predominant brownfield site in the heart of Altrincham and the Downs Conservation Area, south Manchester. 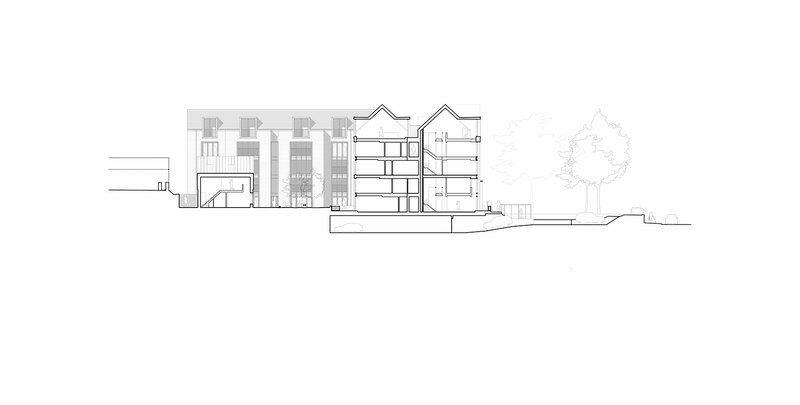 These units are divided amongst two main residential blocks that front the two roads that bound the site, with a number of Mews houses to the rear. 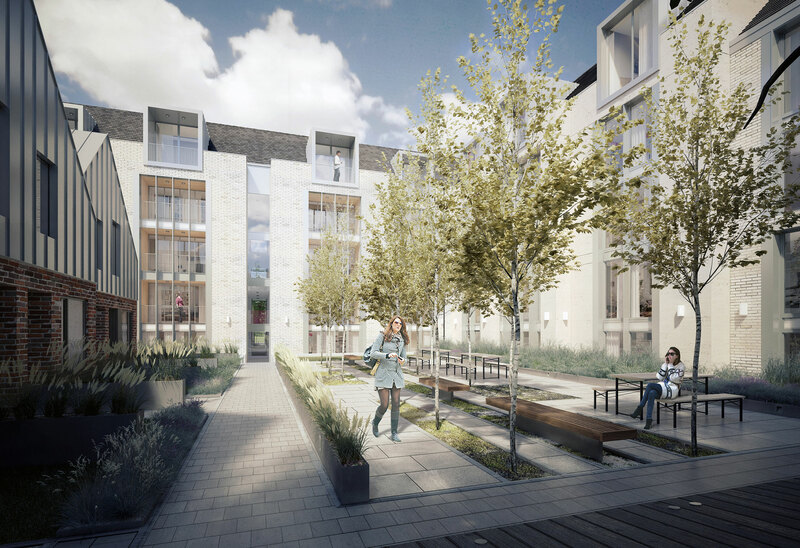 Each block contains a number of different housing types to provide a diverse selection of accommodation. 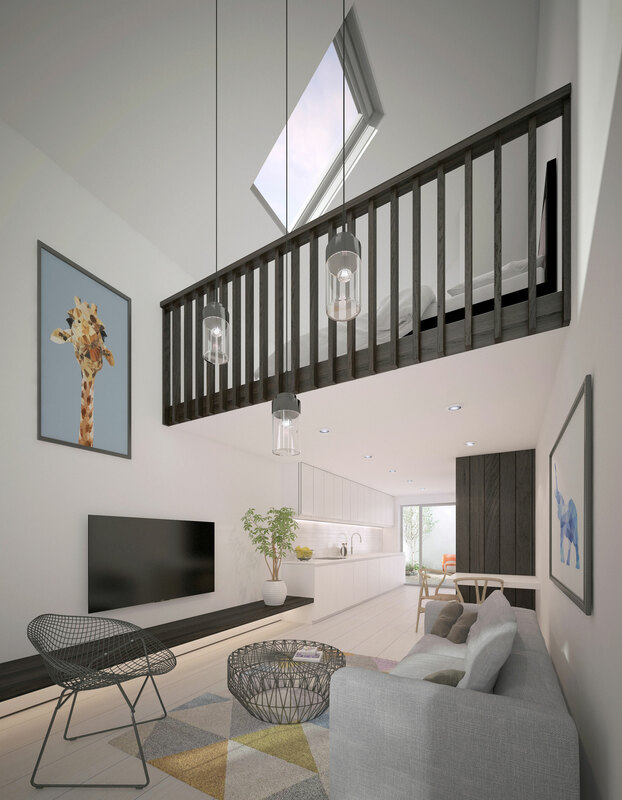 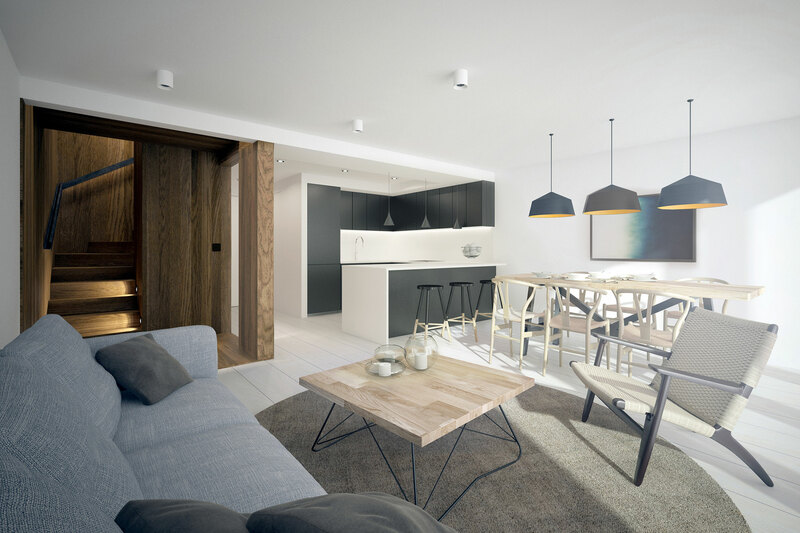 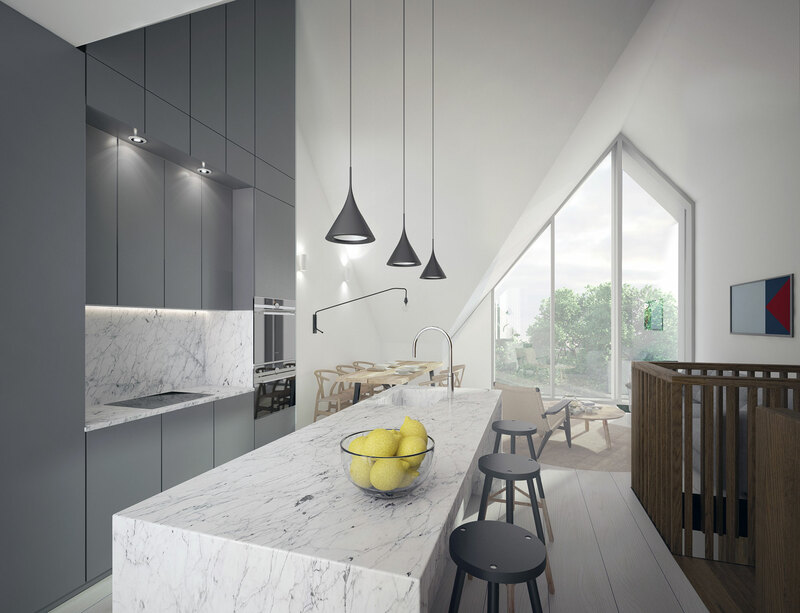 The design draws on the rich history of the area and looks to re-establish the footprint of two grand, semi-detached properties; Alderbank and The Bower, that were once present on the site. 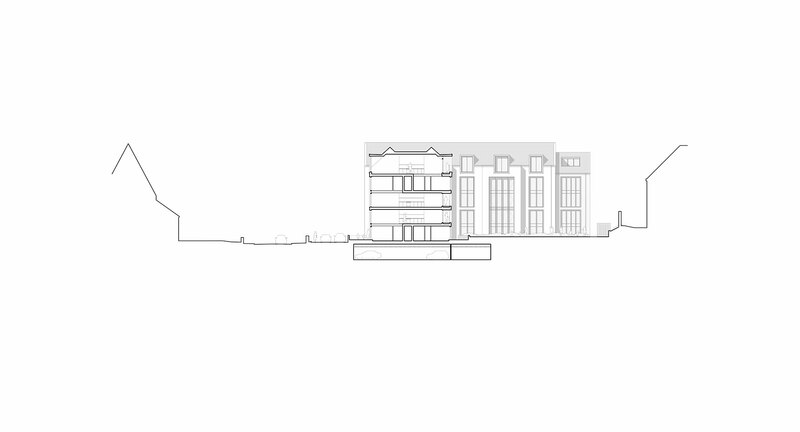 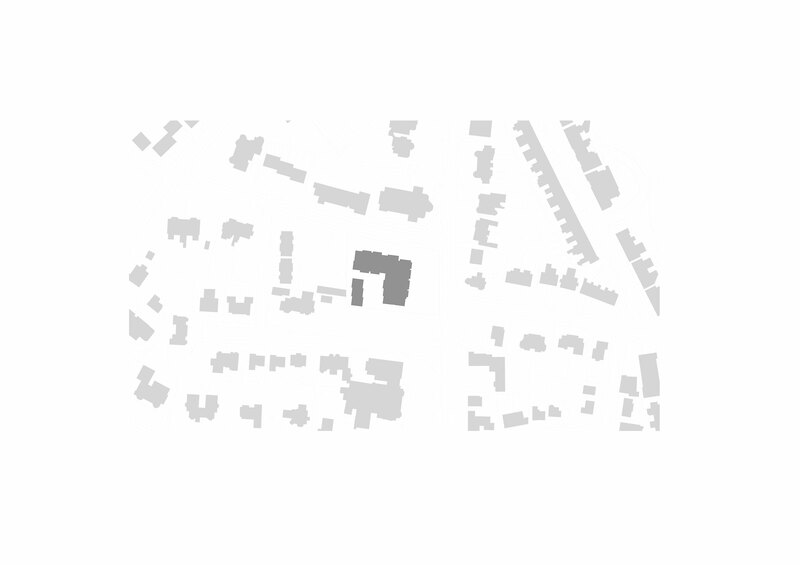 The form is heavily influenced by the Bowden Preparatory School that bookends one of the blocks, creating a balanced streetscape along Ashley Road. 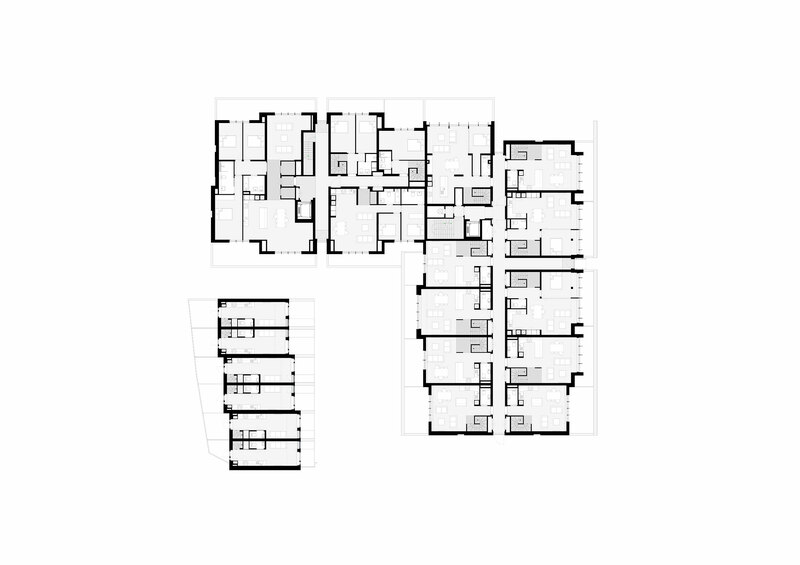 This is reflected in the use of a mixture of stone and white brick to distinguish between the two main blocks while the Mews houses are built from red brick to complete the clear differentiation between the house types, tied together with distinctly modern detailing.